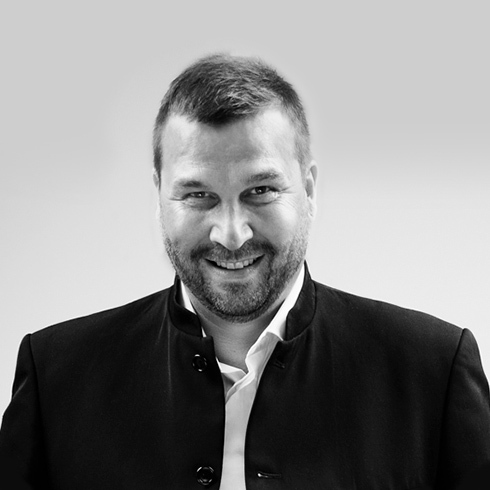 Tapio Anttila is the designer of the Lofty bed, produced by Lundia. 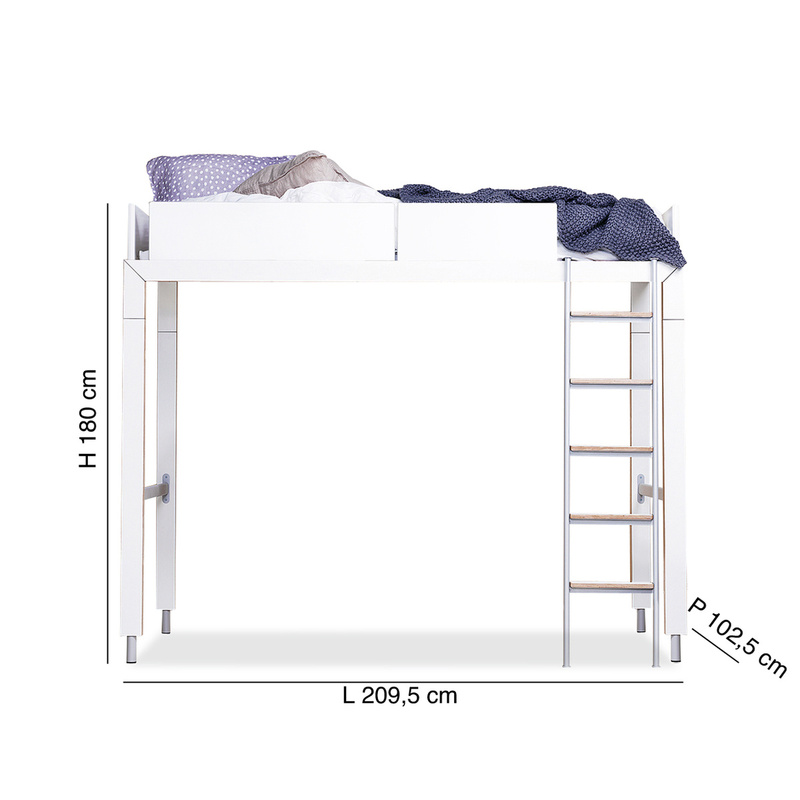 If your child's bedroom is not very spacious, Lofty is the bed that best fits your home. 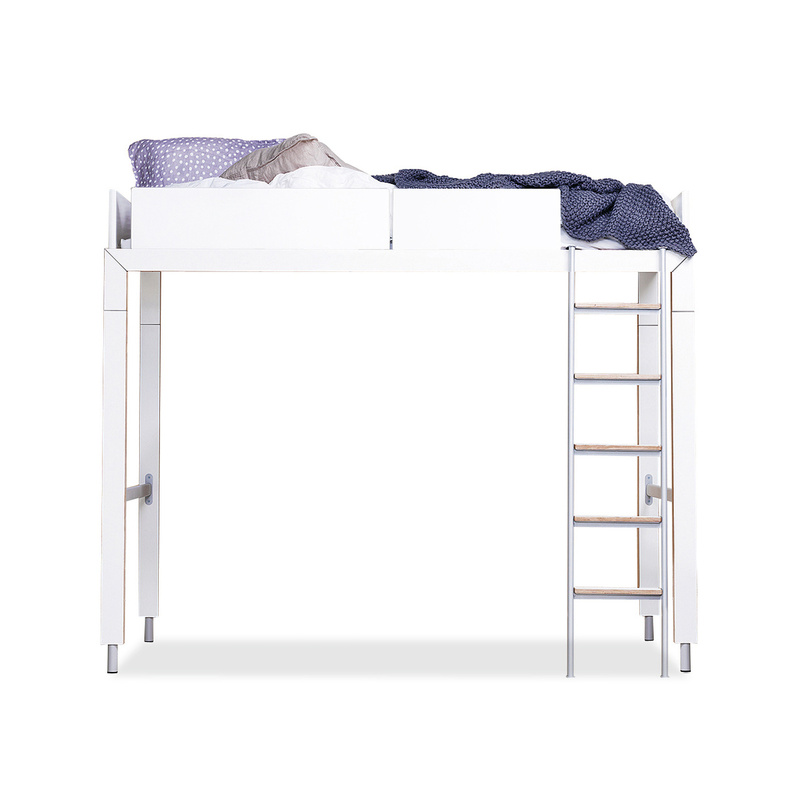 Lofty, in fact, is a high loft bed, under which you can place a desk with drawers, to make the most of the space available. 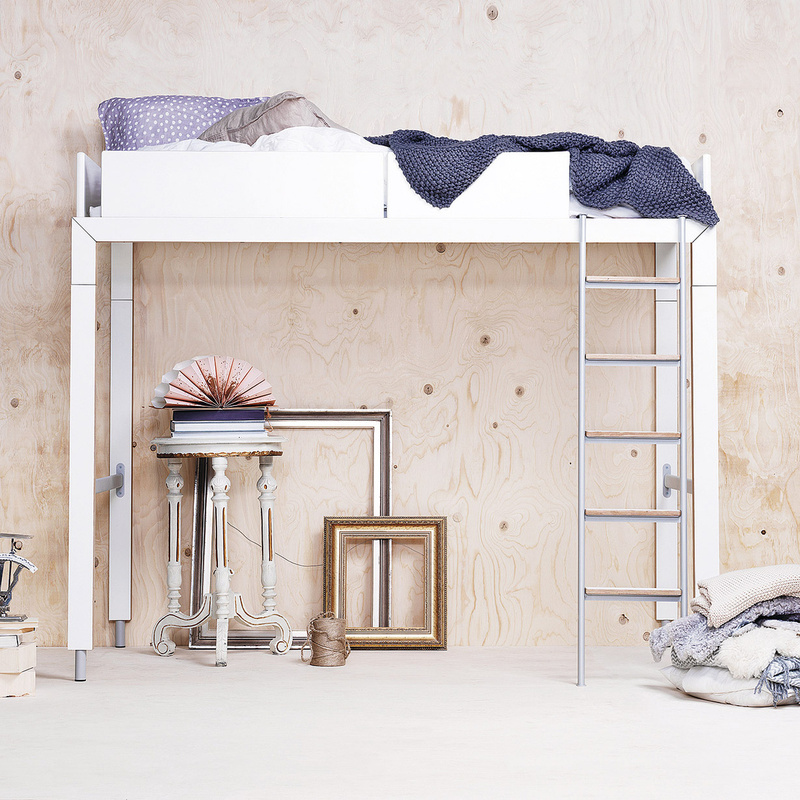 Lofty is a bed made with white lacquered mdf structure and steel parts. 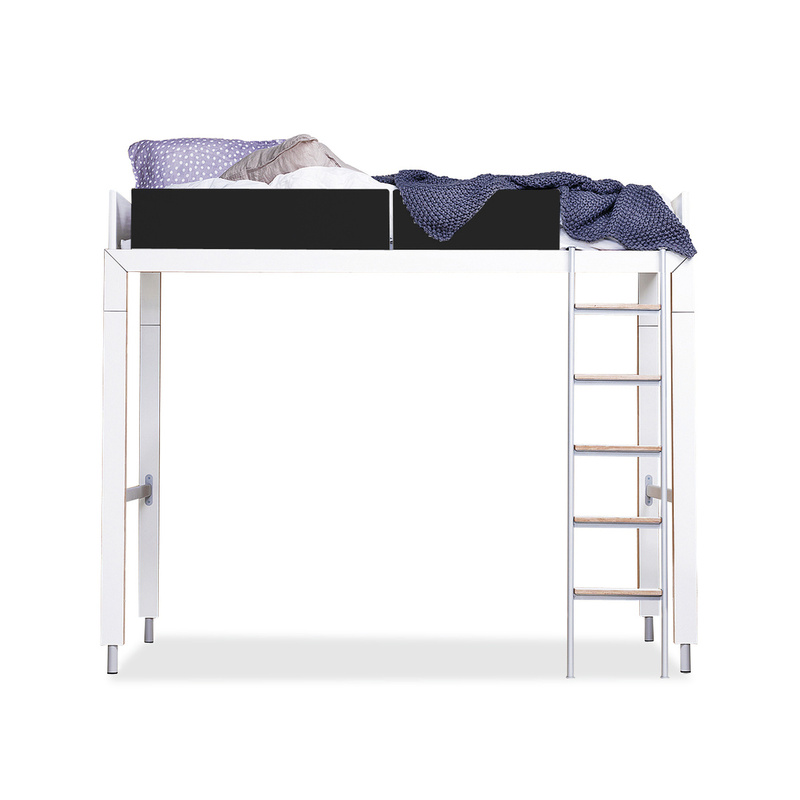 The bed protection sides are available in both white and black lacquered. Informations: a mattress measuring 90x200 with a thickness of 10 cm is included.